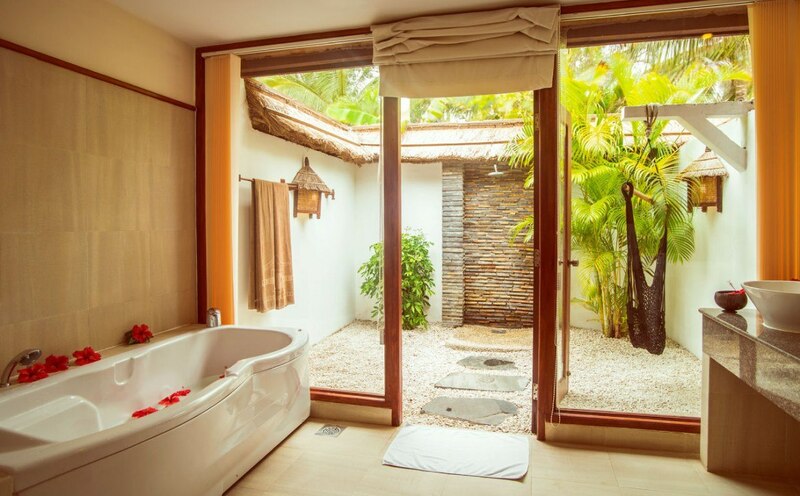 The 71m² (764 sq. 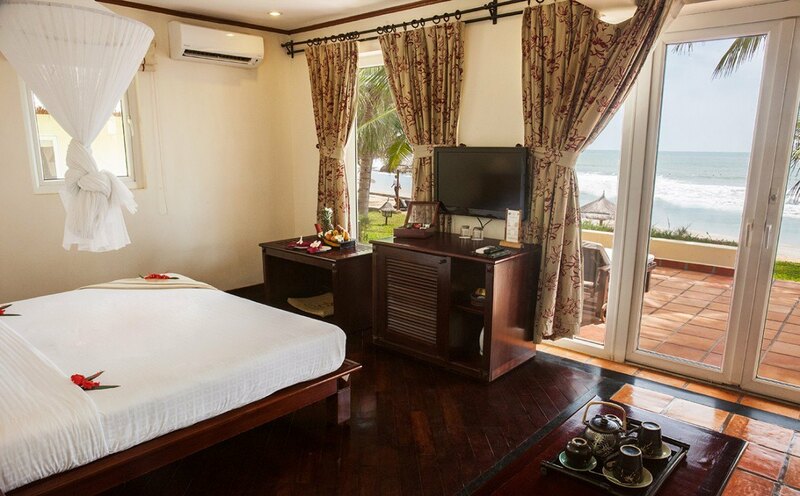 feet) Garden View Bungalows feature terra cotta tiles and art photographs of Phan Thiet, adding to the casual chic decor. 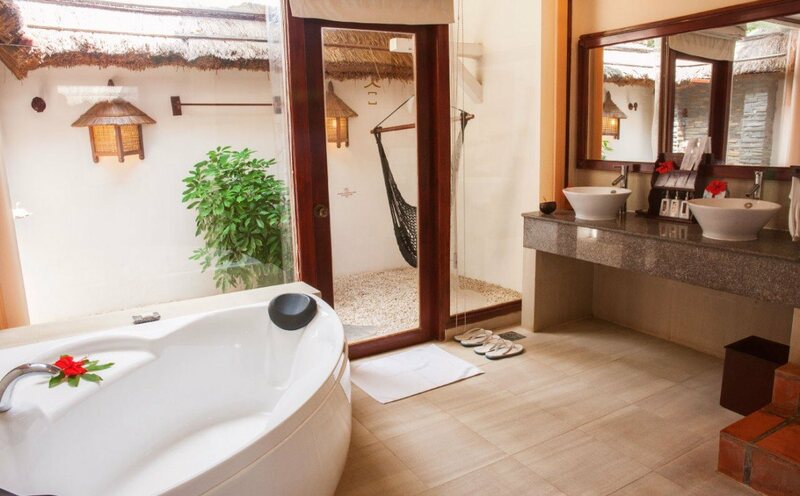 The 71m² (764 sq. 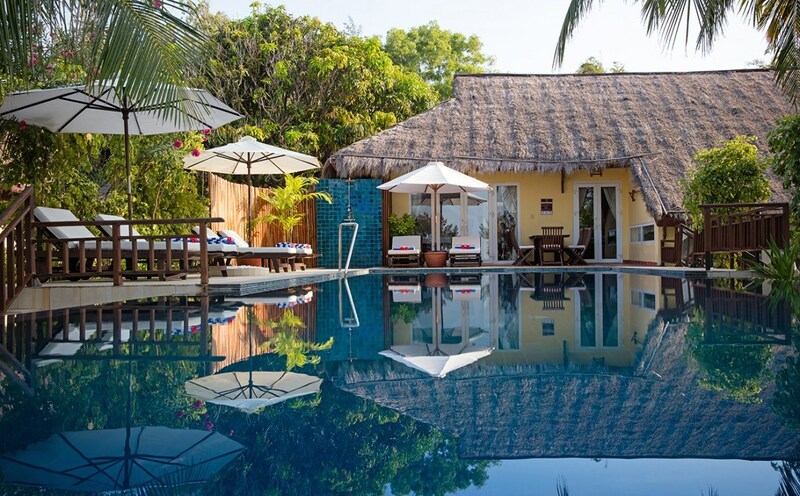 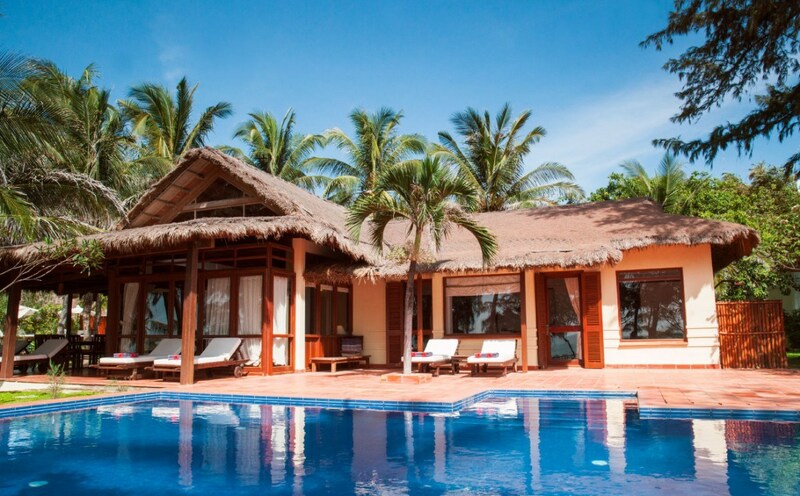 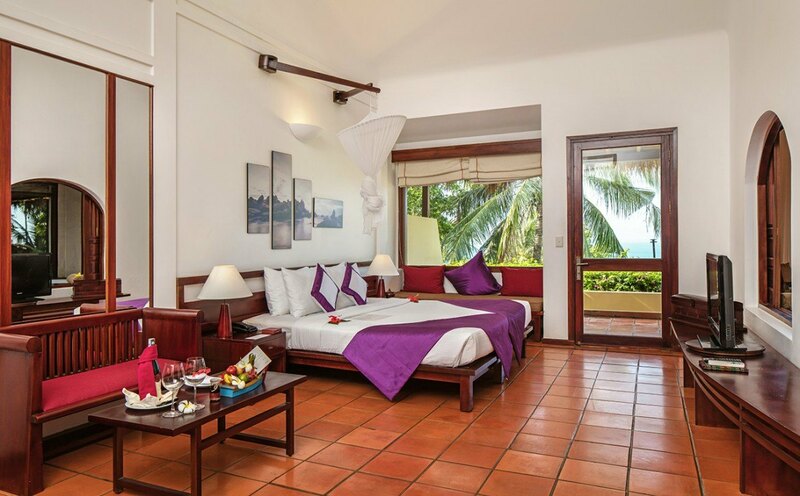 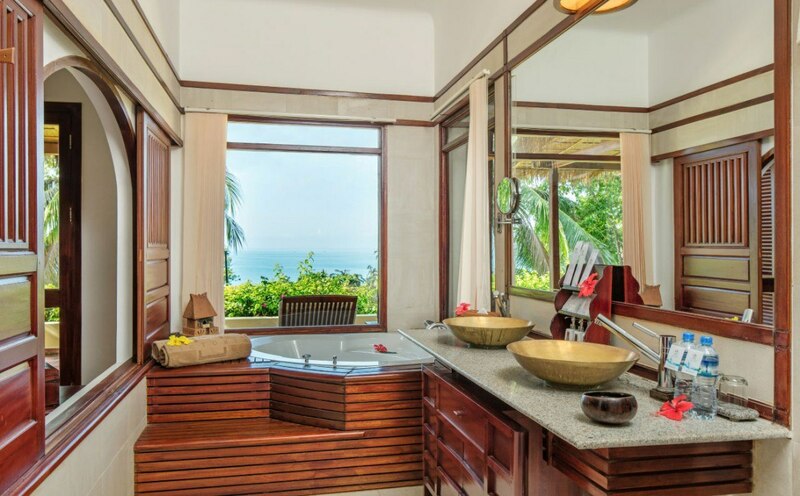 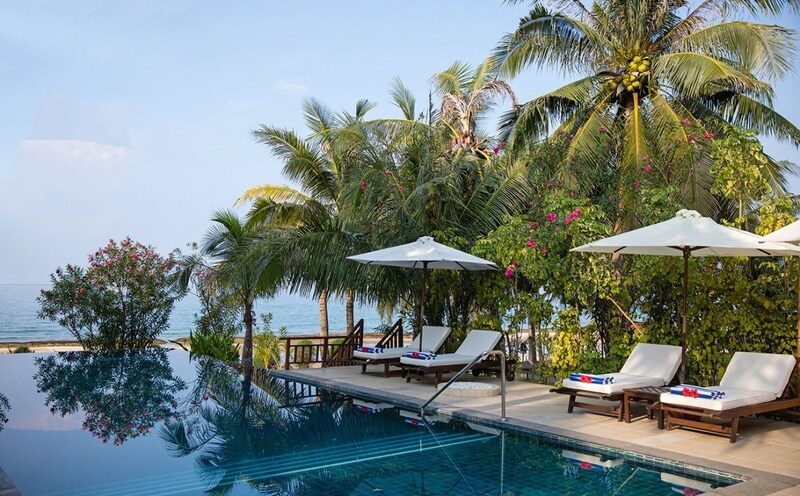 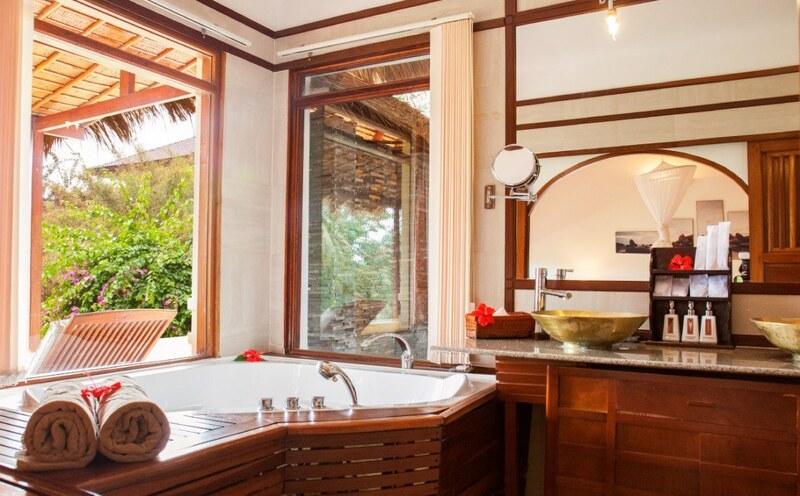 feet) Beach Front Bungalows offer contemporary accommodation with terra cotta tiles and artful photographs of Phan Thiet. 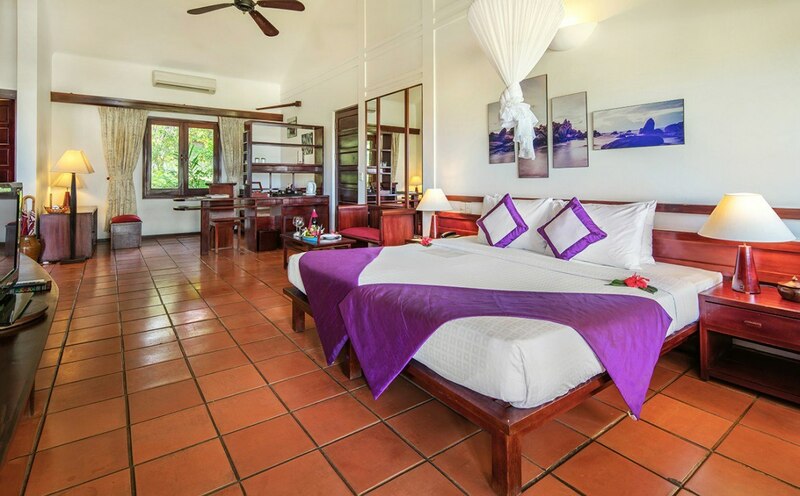 The 86m² (926 sq. 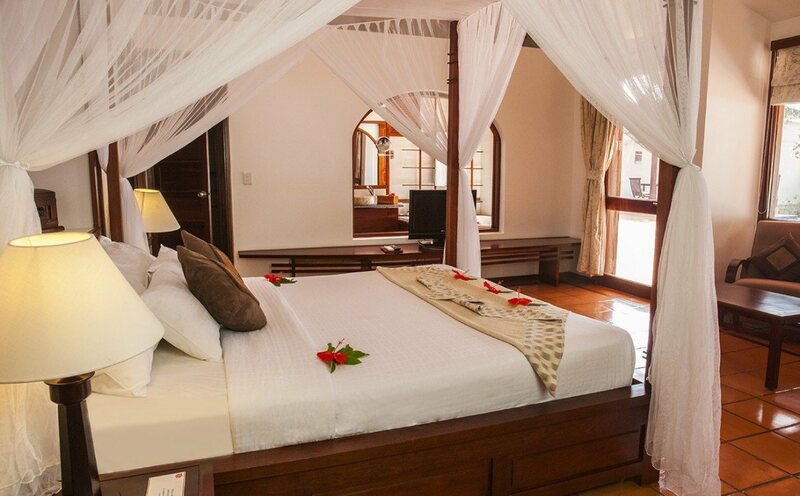 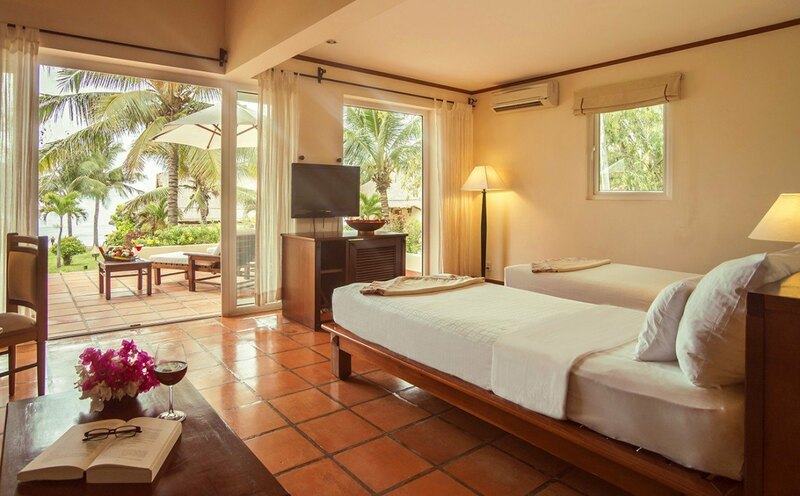 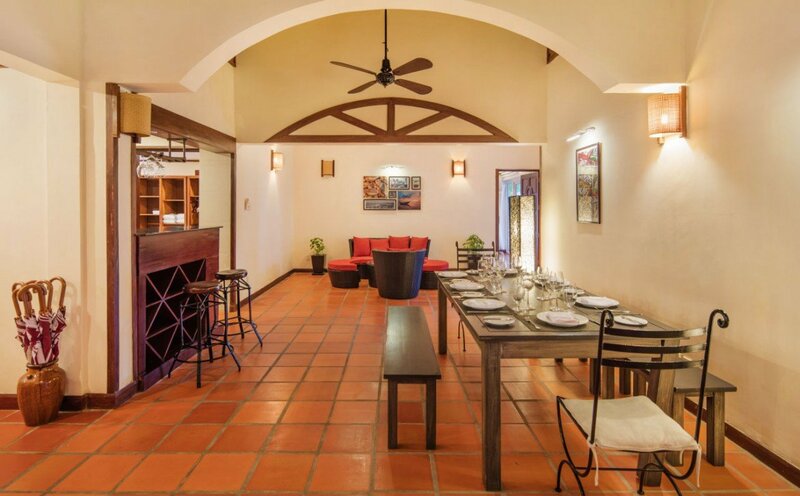 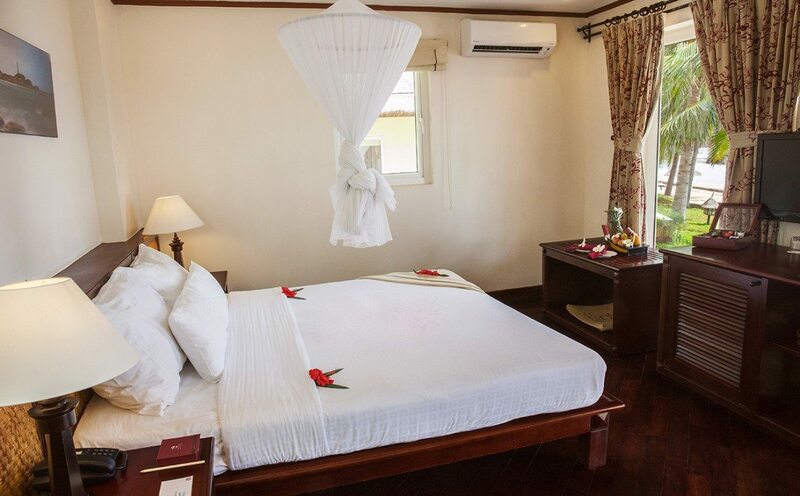 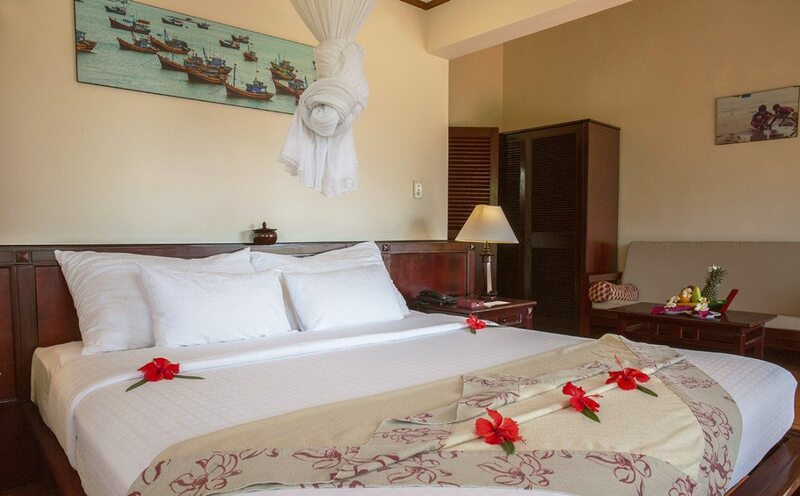 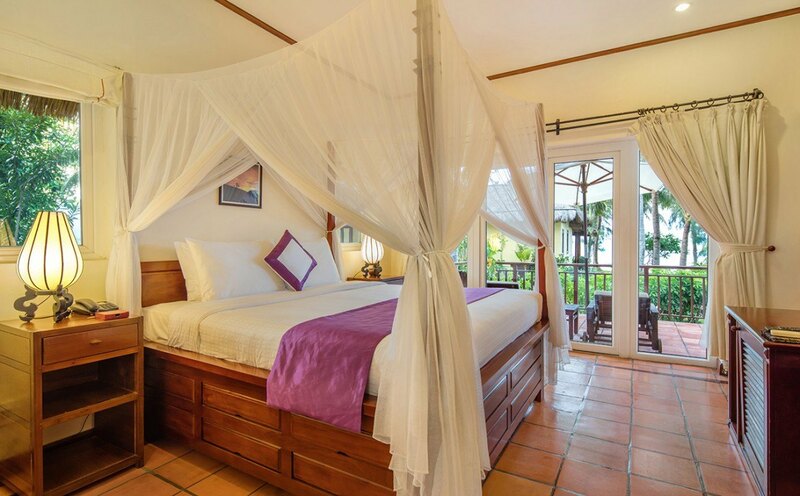 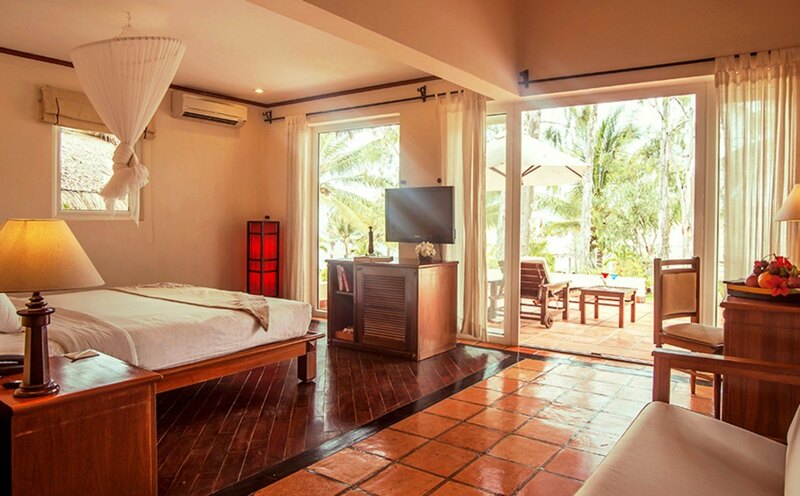 feet) Family Bungalows are some of Phan Thiet's spacious accommodations with connecting rooms available for families or groups. 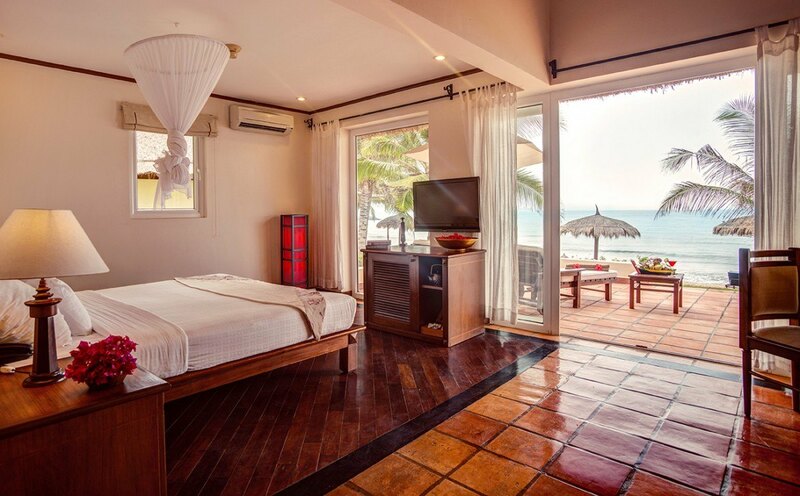 The 97m² (1044 sq. 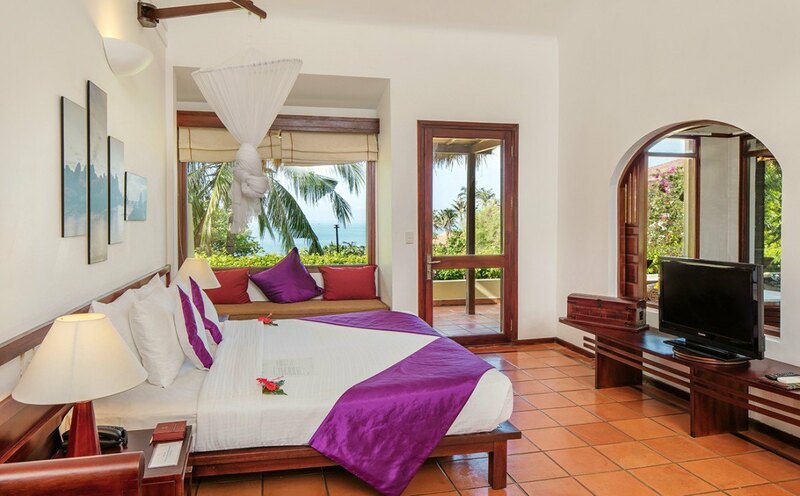 feet) Ocean View Villas delightfully overlook Mui Ne beach. 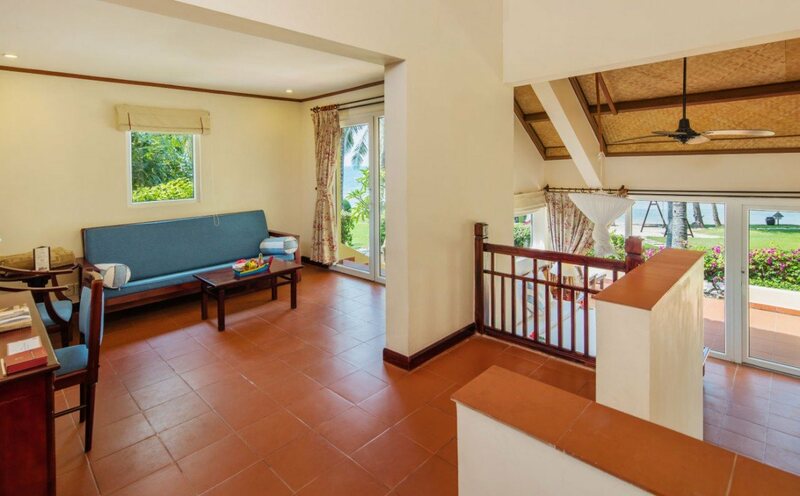 Connecting rooms are available to accomodate larger families or groups. 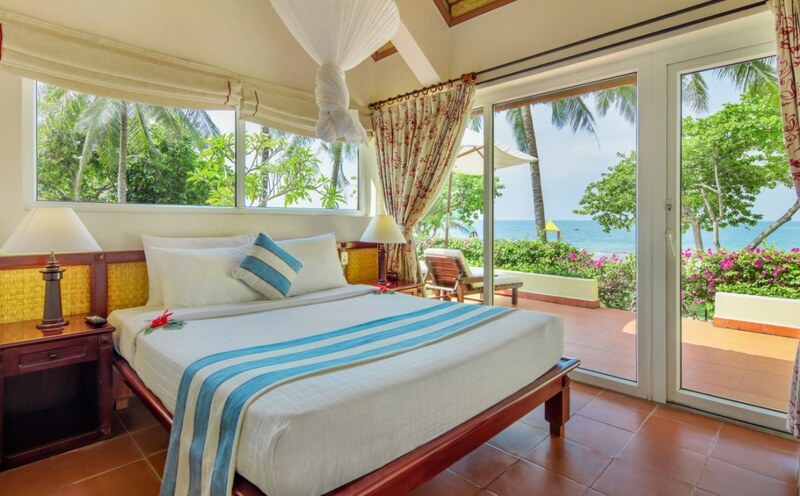 The 144m² (1550 sq. 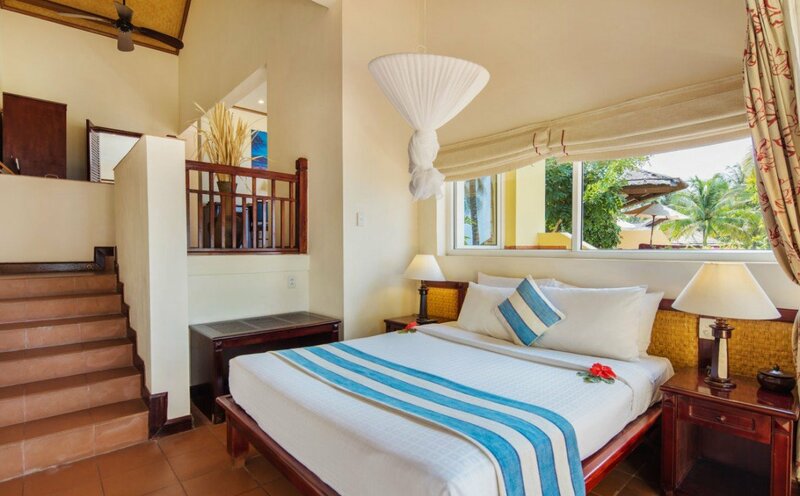 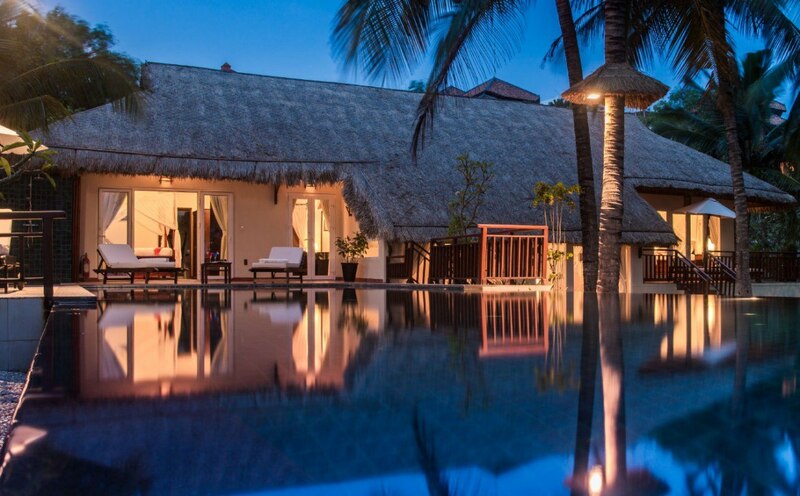 feet) Private Pool Villas offer a living room, a fully-equipped kitchen & an outdoor dining area.